GOOD EVENING, TELLY fans, and welcome to the DailyEdge.ie recap of The Voice of Ireland final. Skip to the bottom to find out who won. But if you want to see some INCREDIBLE scenes of Kathryn Thomas dancing, just read on. Join the discussion! We want to hear your thoughts, feelings and terrible premonitions. Tweet me at @dailyedge or @michfreeman, email michael@dailyedge.ie or just leave a comment below. Welcome everyone! It’s final night, and I for one am excited. After tonight, we won’t have to see Sharon Corr and Kian Egan struggling to interact ‘naturally’ for another year at least. Also, I haven’t slept since March. Anyway, on with the fun! There are just four contestants remaining tonight: Shane McLaughlin, Kelly McDonagh Mongan, Keith Hanley and Shannon Murphy. They’ll each perform a song, after which one is eliminated. Then the remaining three will perform again, then two, and then we’ll have a winner and we can all go to the pub. In between times, we’re guessing there’s going to be a few mortifying interludes from the judges. Shall we pause to remember their bloody dismemberment of Bowie’s Let’s Dance last week? WOOOOAHWOOOOAAAAHWOOOOOAAAAH THIS IS THE THIS IS THE VOICE. Hang on what’s this? It’s only all four of the remaining contestants giving it socks to It’s Always A Good Time by Carly Rae Jepsen. Kelly looks like her unborn baby is literally about to burst through her clothes. God love her. She looks a bit worried, and frankly we are too. “That was Good Time and that is exactly what we’re going to have tonight,” says Kathryn. That’s why they pay her the big bucks. And here are the coaches, pretending to like each other. Sharon’s the only judge without any contestants in the final, so she’s been asked to call it. She says Shannon (aka Janine from Ghostbusters) could win it. 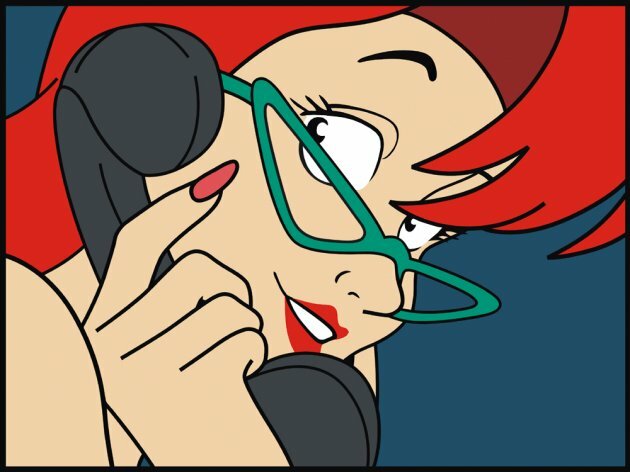 Shannon – who Keith just summed up as “Shannon the fiery redhead with her specs” – is up first. But before that, a walkabout of her home town with Bressie in tow. And Bressie has literally just been shown taking candy (well, Smarties) from a baby as they wander around. Shameless. My girlfriend is making faces and mouthing “FLAT” at me through the door of the living room. *Paul has let us know in the comments that he didn’t miss his cue. In which case he deserves double kudos for not getting distracted by Shannon’s resemblance to Janine from Ghostbusters. Thanks for reading Paul! Next up is Kelly Mongan. But first she has the unenviable task of taking Kian Egan to meet her family. At her baby shower, no less. How does she feel about being on The Voice AND having a baby simultaneously? “It’s so big like, it’s two big things happening at once,” she says, flapping her hands. We love Kelly. Kelly’s outdone Shannon on the star front by duetting with Una Healy out of the The Saturdays. They’re almost wearing matching dresses, except Kelly’s has a MASSIVE bump on the front. Also, Una didn’t miss her cue. You don’t get to marry a rugby player by missing your cues. Take note Paul Walsh. We agree. Someone please abolish Monday. And people say Labour are out of touch. Pshaw. Now Kian’s gone to Donegal with Shane. KIAN EGAN IS IN A WETSUIT. REPEAT: KIAN EGAN IS IN A WETSUIT. Shane is rocking out with RTE’s best lightning effects behind him. They’re the same ones Pat Kenny has in his dressing room to psyche him up for The Frontline. Next up is Keith Hanley, and for his montage he’s taken Jamelia to meet his mammy. “The first woman that Keith brought home is Jamelia,” she tells the entire nation. MORTO. Keith is duetting with Ryan Sheridan, and frankly he isn’t getting the opportunity to show off his moves as much as we’d like. The voting is now open. Bet Kathryn’s favourite bit of the show is where she gets to say that, and the lights go WHOOOMPH. While they’re maundering on, does anyone want to see the covers for the official The Voice singles on iTunes? They’re going to be masterpieces of graphic design, right? Hang on. Has someone accidentally dressed Sharon Corr in a pair of curtains? So, did we all catch Kathryn Thomas throwing the SHAPES earlier? Someone fetch us an icepack. Here’s Shane again. He’s abandoned his usual rocker outfit for a rather natty tweed affair. It’s sort of Don Draper-esque, actually. If Don Draper had a Donegal accent. And, um, performed on a talent show. Oh, you want ANOTHER gif of Kathryn Thomas dancing? Here’s Keith. He’s giving us a little taste of his KeithMoves (TM) this time. And hang on… he’s wearing a LEOPARD PRINT BOW TIE. They might as well just call this thing now. “The moment of reckoning is getting closer,” says Kathryn as she introduces yet another montage. It’s all getting a bit Lord of the Rings, isn’t it? Meanwhile somewhere in a Montrose back room, the RTE Montage Machine is shuddering and throwing out black smoke. It hasn’t been called on this much since they did the Reeling In The Years DVD extras. OK. Eoghan McDermott and Kathryn Thomas are dancing to I’ve Had The Time of My Life. OH MY GOD THEY JUST SMOOCHED. Thousands of people across Ireland have just dropped their biccies in their cups of tea. We’re not sure the contestants are able for it. But we wouldn’t bet against Kathryn having a boogie to it when the crew hit Club 92 in Leopardstown tonight. The Saturdays are doing their best to burn out RTE’s poor overworked lights with their final performance. Don’t they know this is stressful enough without flashing lights to deal with? Apparently it’s Kian Egan’s birthday. Happy birthday Kian! To celebrate, the crew have put together a montage of him saying that a performance “gives me goosepimps”. Apologies for the quality. We don’t have access to the RTE Montage Machine. The voting lines are closed, and the final four have been called on stage for “the moment of reckoning”. In fourth place is Shannon. She’s managing to crack a smile. Good on ya Shannon. In third place is Shane. Don(egal) Draper is leaving the stage, dapper to the end. It’s between Keith and Kelly now. It’s a Ke-off. They’re both on stage, and Kelly is holding on to her bump for dear life. And the winner is… Keith. There is confetti EVERYWHERE and Keith is losing his sh**. He’s done the decent thing and gone in for a hug with Kelly. To be honest it was a bit awkward, because he had to lean across her baby bump. We’ll never know how Kelly felt about it, because Kathryn Thomas read through the credits at the speed of light and now Keith is singing us out. They must have run one montage too many. And after a final stage invasion by the other contestants, it’s all over. Not even a final intervention from the WOOOOOAAAHWOOOOAHHH THIS IS THE VOICE woman to send us on our way. That’s all from us too. Thanks so much for joining us on the liveblog over the past few weeks, and for all your comments and tweets. Email “The Voice of Ireland final: How it all happened”.